Getting ready for my Taste & Paint class tonight at The Saratoga Winery, in Saratoga Springs, New York. Taste & Paint is a popular event in this area and what my class entails is simple. Getting together with friends at a local restaurant/tavern/winery and learning how to paint wine glasses, while tasting wine or other beverages, and eating what the restaurant offers. People are amazed at how good an artist they can actually be, all the while enjoying others company and relaxing. I provide the supplies included two 20 oz. wine glasses, all the paint, brushes, etc. and the instruction. 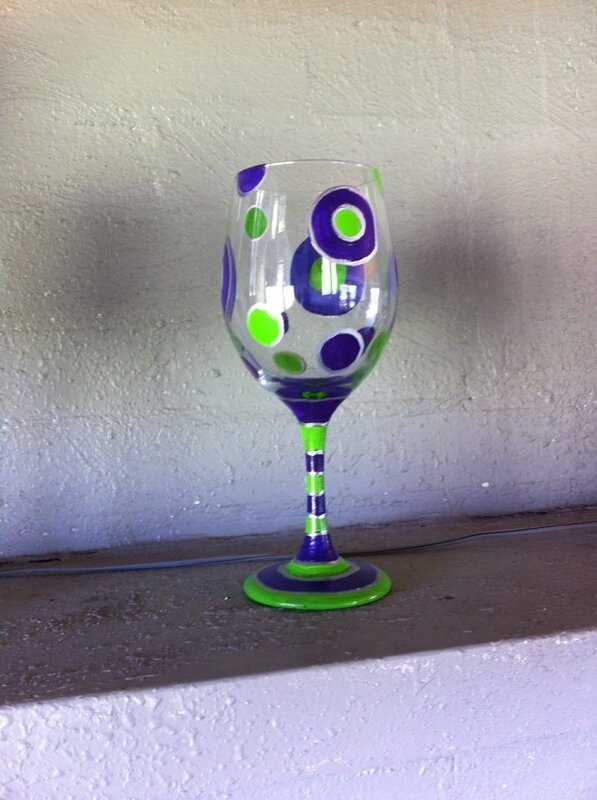 Here’s a sample of a glass that was painted at one of the classes. « Yummy delicious Lemon Verbena bread- end of summer delight!